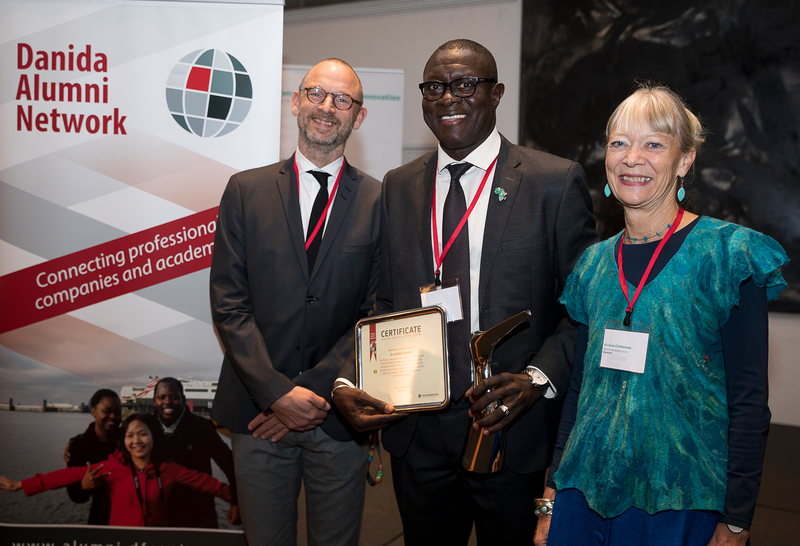 Dr. Cheikh Mbow, Executive Director of the Washington based organisation START International, received the Danida Alumni Prize 2018. The award ceremony took place on 8 November 2018 as part of the 9th Annual Forum of the Donor Harmonisation Group hosted by Danida Fellowship Centre in Copenhagen. The prize was presented by Martin Bille Hermann, State Secretary for Development Policy, Ministry of Foreign Affairs of Denmark and Anne Christensen, Director of Danida Fellowship Centre. Dr. Cheikh Mbow was a Danida fellow from 1997 to 2000 at the University of Copenhagen where he did a PhD in remote sensing in forestry management.